Aailiyah Dana Haughton was a rising starlet who died at the tender age of 22. She was known for her angelic yet strong vocals, acting and her mysterious beauty. Upon her death she and her fans were anxiously awaiting all of her hard work to pay off. The roles and times that had made her into a household name were now the basis of her awaiting stardom. Aaliyah’s dream would be cut short, but her influence on a generation would go on years after her death. Following her death, there have been countless whispers of biopics to capture this beautiful spirit gone too soon. Despite years of speculation no serious moves have been made until this year. This part will evaluate what this pending Aaliyah biopic means for black women. 1. A talented and beautiful woman is reduced to her hair. I played with potential elegant ways to say this, but perhaps blunt is best: None of the selected actresses, Zendaya or Alexandra Shipp capture the essence of Aaliyah. My statement casts no criticisms on these women as actresses or beauties. However, despite how beautiful those women are in their own right, they fail to capture the mystery, class and sensuality of Aaliyah. However, their ability to aesthetically capture Aaliyah seem to lie in the simplicity of dark locks swept over an eye. This reduction of a young woman who was inspiration to so many, to her hair, is an insult to Aaliyah, her family and her adoring fans. This reduction on a political level is perhaps even more unsettling. To think that a figure of influence can simply be replaced by a hairstyle belittles the influence of the black female body. A. Online Comments are not always accurate. Personally, I am highly speculative of racially motivated comments on the internet. While the internet has produced many advantages, it has become a platform for constructed identities. I would argue that many of the racial comments that assert an affiliation with blackness are actually outside the black diaspora, often seeking validity through a fallacious black default photograph. Thus, I would argue that the entirety of these comments does not come from the black community but are created to deflect Western induced anxiety onto black bodies. This perpetuated anxiety is of course a smokescreen yielding the casual viewer from the true problem. While I agree that color and biracial presence are issues within the black community, I also acknowledge that the perpetuation of these issues distracts from the alienation and disappointment felt by the black female demographic. It is disappointing to have an actress chosen to embody someone that they don’t resemble. This failure to resemble Aaliyah severs the initial connection that fans had with a young starlet who looked so much like themselves. 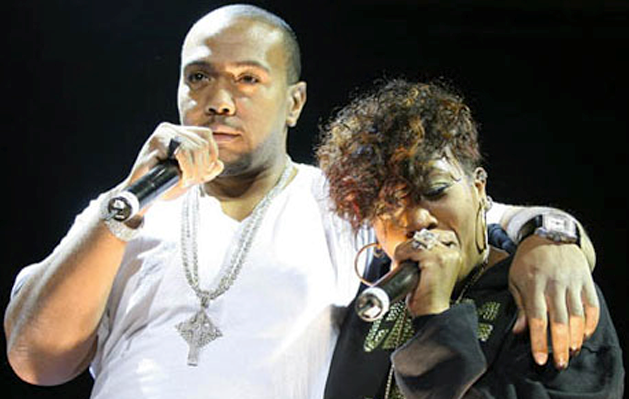 With that said, the casting choice of Aaliyah, Missy Elliot and Timbaland as fair-skinned devalue the black female demographic. My previous statement is not to suggest that blacks are not fair-skinned, but that the blacks being portrayed are not. By altering the hue of these black icons, Lifetime attempts to appeal to a wider audience. Aaliyah and Missy initially appealed to black women through their appearance, demeanor and style. Most importantly, Aaliyah and Missy embodied a striking alternative to the pop dynamic consisting of blonds and boy bands. Trading in these images for the racially ambiguous, reveals a motivation for the majority appeal, at the expense of an accurate portrayal. Following the removal of Zendaya for the project, Lifetime was in need of a black advocate. Lifetime, as a result employed a black face in Wendy Williams, seeming to have black interest at heart. This sentiment is of course false, a Wendy being a black woman doesn’t negate her appeal to those of the majority. As a talk show host, Wendy appeals to those who can afford to be home during the middle of the day. So while I do not knock her appeal to black women, I do acknowledge that her platform targets the same ambitions of this Lifetime biopic. 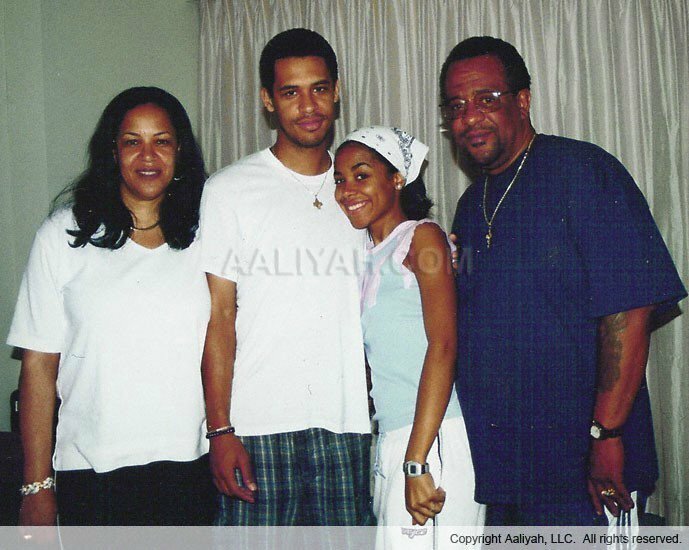 Interestingly, this need for advocacy was not explored in Aaliyah’s family dynamic. After all, isn’t the most sincere form of advocacy in the form of family? While the casting and motives of Lifetime’s project are certainly questionable, their failure to involve Aaliyah’s family raises a cause for concern. Lifetime’s decision to move forward on a project supposedly intended to showcase one’s life, without properly consulting or considering those in it displays both a lack of credibility and lack of regard for accuracy and depth in Aaliyah’s portrayal. Like many millennial women, I would love to see Aaliyah’s story be brought to the big or small screen. However, I do not wish for the existence of this movie at the cost of failing to capture her glow. I adored Aaliyah for her talent, and her aura but mostly because she showcased a place for women who looked like me at the top. Thus, I refuse to support a biopic that fails to capture this powerful dynamic, fostered by those likely oblivious to resonating factor of positive imaging of black women. Finally, may Aaliyah rest in the peace she’s provided me as a young black woman, and not in the pieces that Lifetime has put forth in her pending biopic. Previous PostThe Sting Behind a Smile: The Malevolence of Micro Aggressions Next PostTo those who Seek Black Profit and Validation: Ponder our Injustice!